I'm a bit of a visual learner, so when an adoptive mom shared this with our Facebook group, I couldn't help but get a bit giddy about it. 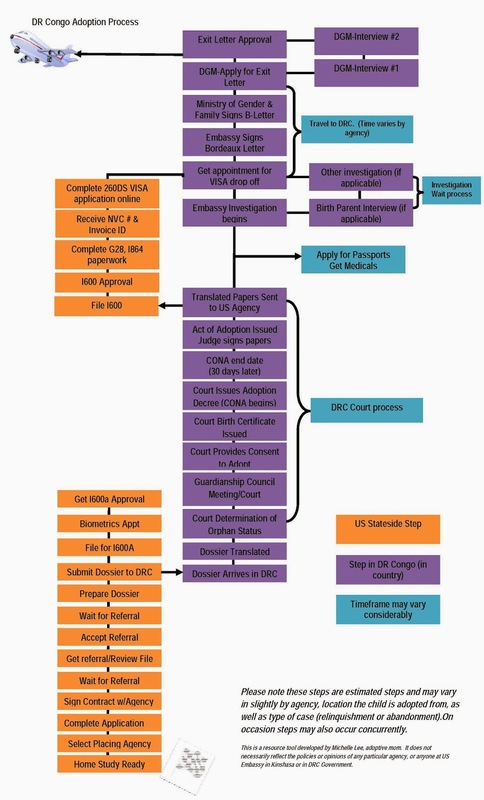 Below you will find a a flow chart of the adoption process in DRC. I hope you can understand it. Start at the bottom. We are almost to the middle of the "DRC Court Process."